I’ve noticed that when it comes to burgers, even the most sophisticated palates revel in the combination of juicy burgers and indulgent milkshakes. 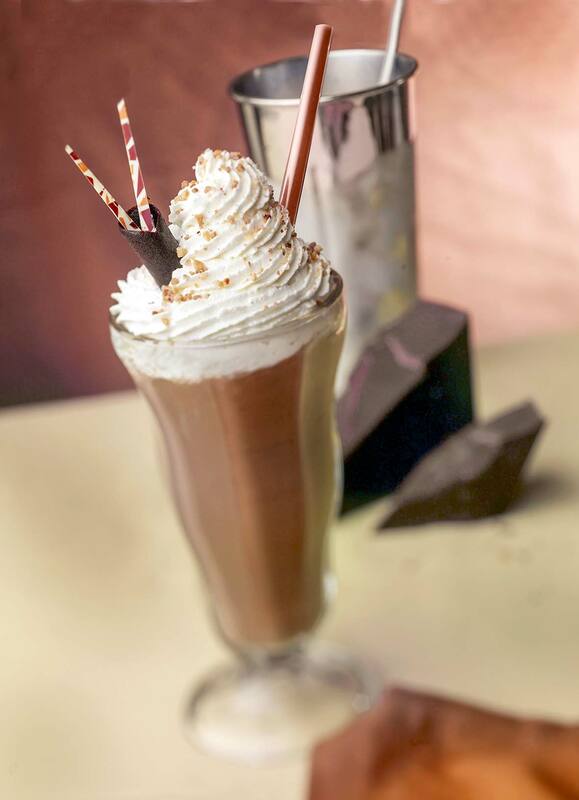 We serve a lot of them and take the time to make them right: to order, with hand-scooped high-fat ice cream blended as they once were, with stick blenders. This amount is enough to make two smaller servings, but instead we serve the extra on the side in the frost-beaded metal blending container. They almost always come back to the kitchen empty. We love that this milkshake recipe unabashedly calls for whole milk. None of this tentative “preferably whole milk” business that we see in a lot of recipes. Nope. It just flat-out dictates whole milk. Because really, there is no substitute. Not in a milkshake. 1. Whip the cream with a whisk or a standing mixer until frothy. Continue whipping while gradually adding the sugar until firm peaks form. Gently fold in the vanilla and set aside. 2. Blend the ice cream and milk in a blender until smooth. Pour it into a tall glass. 3. Either spoon a generous mound of the whipped cream on top of the milkshake or spoon the whipped cream into a pastry bag fitted with a star tip and pipe it onto the milkshake. Sprinkle the whipped cream with the chopped nuts and chocolate curls and stick a straw in it. Serve any remaining shake on the side. 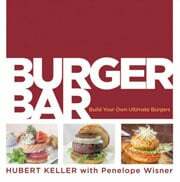 Burger Bar Milkshake Recipe © 2009 Hubert Keller | Penelope Wisner. Photo © 2009 Bill Milne. All rights reserved. All recipes and photos used with permission of the publisher. I love the fact that this recipe makes only one serving, and that it’s just the right amount so you don’t feel overly stuffed after drinking it. Today mine was plain vanilla because that’s my favorite and that’s the only ice cream I had on hand. I put it all together and added a few chocolate shavings on top and sat down to enjoy my drink. I hadn’t planned on my 11-month-old granddaughter taking it away from me. She loved it. When she started getting the slurping noise from the straw that meant it was all gone, she starting hitting the side of the glass like that would give her more. It was so funny. I can’t wait to try this with different flavors of ice cream. This is my go-to milkshake recipe. It tastes *exactly* like old-timey burger bar milkshakes! And, of course, it’s adaptable to any flavor, which is great! Lovely to hear it, Amanda!